Just a few short minutes after qualifying ended for this year's Sea Otter Classic Dual Slalom, a pleasant yet dejected Kirt Voreis stood in the expo area under the awning of one of his long-time sponsors. It was Voreis' 20th attempt at the legendary event, but this time the former U.S. National Dual Slalom champ was sent packing before the gates dropped for the final. "It was just dumb," he said. "A mistake…"
Given his race history and list of results, a lesser human might've given in to throwing bikes and wrecking the place, but Voreis doesn't need to define himself anymore via race result—if he ever did. Like so many mountain bikers of his generation, Voreis fell into the sport kind of by accident. Growing up without a dad, his dream career, motocross, was out of financial reach. 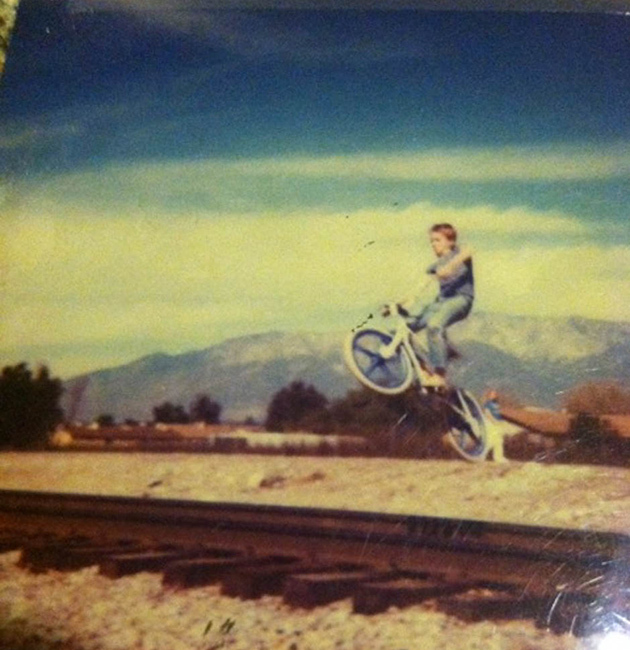 Dirt jumping and skateboarding, though, those were attainable activities, and Kirt was naturally gifted. Add to the airtime a penchant for pedaling 30 miles or more on his mom's 10-speed mountain bike looking for lizards and rattlesnakes, and you've got a fairly decent recipe for success in the fat-tire world. Watch Kirt Voreis rip a trail ride with Cam McCaul in this 2014 video from FOX MTB. He'd been trying his hand at Sport class cross-country racing, and he wanted to get sponsored in his new pastime. Already a sponsored skateboarder, Voreis sent a video edit of himself to Yeti—something unheard of in mountain biking at the time—and landed a deal. Soon enough, he was being told by then Yeti boss John Parker to lay off the big air and back flips, and was racing downhill nationals and world cups. Voreis learned his new profession quickly, and by 1996 was causing a fair amount of buzz on the World Cup circuit. 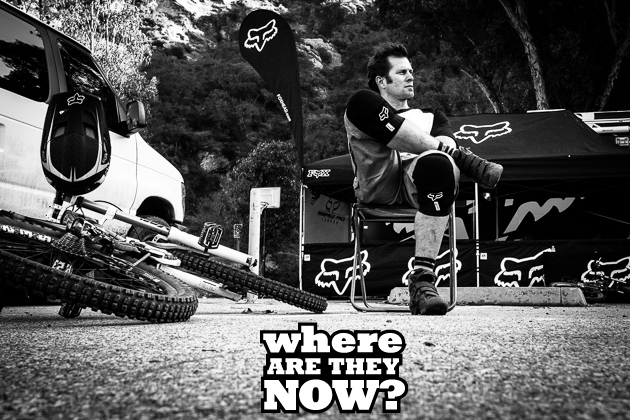 In 1998, Specialized came calling, and he teamed up with friend and training mate Shaun Palmer. After Specialized, he spent a couple of years racing for Haro. For Voreis, however, it was always all about the ride—racing was something you did to pay the bills. But by 2002 the money available for a downhiller in the United States seemed to him to be drying up. "It wasn't fun for me to go up and bomb down a hill anymore," he says. "And that's why I started to get more into freeride stuff and doing videos. 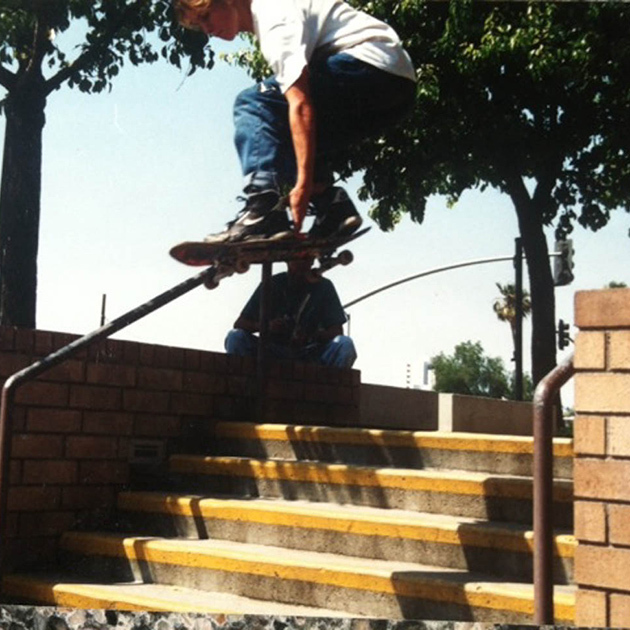 "Once it became harder to make a living at downhill, I said, 'I'm going to go do stuff for fun now, and do it differently—like skateboarding." 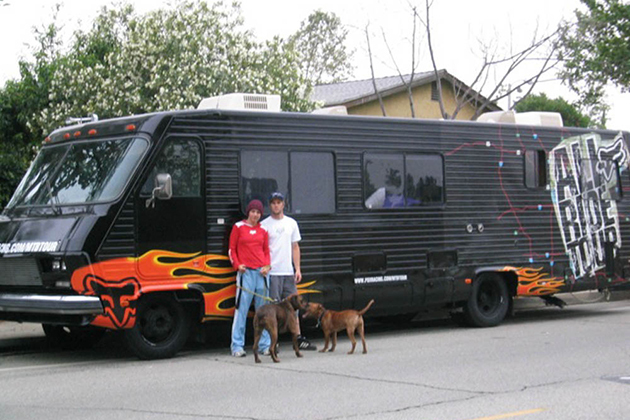 In 2003, with Fox Head as his main sponsor, Voreis and wife Lindsey launched the AllRide tour. That inaugural AllRide tour made 34 stops spreading the gospel of mountain biking. A year later, though, in addition to logging roughly 40,000 miles in the AllRide RV, Voreis was back on the World Cup circuit as a member of the Santa Cruz Syndicate team. 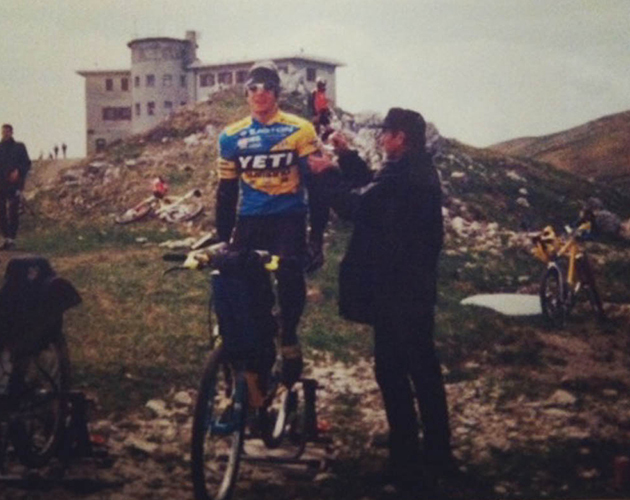 By the end of 2005, despite ending up 12th overall in the World Cup, he'd had enough of the non-stop schedule that included filming for New World Disorder, racing downhill and roaming the country for his AllRide tour. "…I'm going, 'I'm going to kill myself on one of these…either I'm going to fall asleep at the wheel, I'm going to smash into a tree or I'm going to fall off a cliff.' It was just getting too stressful." Voreis pulled the World Cup from his list of duties. In its place, so to speak, he added a small fleet of Santa Cruz demo bikes, which allowed about 500 people per year to get in touch with the brand. In 2007, he also started managing the Syndicate junior program. When Specialized stepped in as AllRide's sponsor in 2010, junior-team manager and demo-tour operator were removed from Kirt's job description, allowing him to focus more attention on filming, and giving him perhaps just a small reprieve from the nomadic lifestyle he's known for the past 20 years. But he's not really showing any signs of slowing down. Despite the bobble at the Sea Otter Classic, Voreis, who will turn 40 at the end of May, has several enduro events, including at least one Enduro World Series round, on his calendar. He may not be on the World Cup anymore, but he still likes the feeling of scaring himself that only race pace can provide. 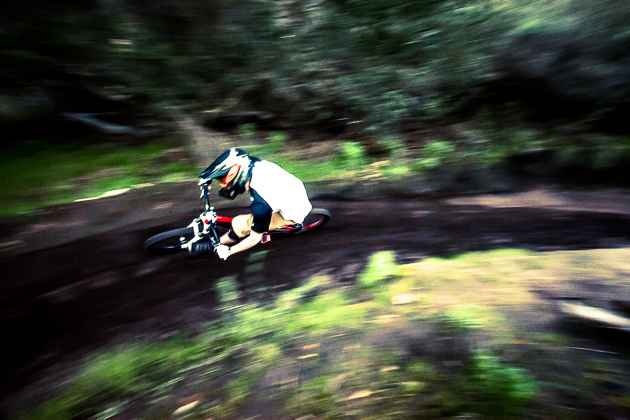 Additionally, he's aiming for the Speed and Style at Crankworx. Voreis' main focus, however, continues to be spreading the stoke and introducing as many people to the sport of mountain biking—in all its forms—as possible. High on the list of short-term goals is to further assist in the work Lindsey is doing with Ladies' AllRide. That and the never-ending task of churning out the video edits—the thing that first kicked off his career two decades ago. Keep 'em coming, man, the internet is hungry and it likes your style. Remember the Kamikaze Bike Games? What ever happened to those?